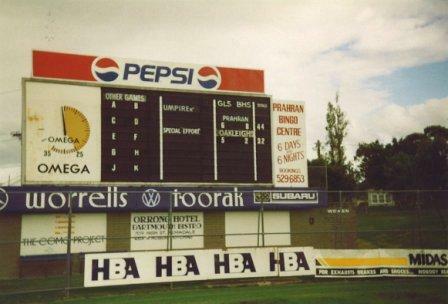 Jeff Lawton, a regular contributor to Scoreboard Pressure, took this photo back in 1994. He noted that 1994 was the last year for both Prahran (the Two Blues) and Oakleigh (the Devils). The late, great Jim Stynes played for Prahran in the latter-half of 1986. His first game was against Oakleigh. Stynes played 12 games for Prahran that year, and was runner up to Greg Hutchison in the club’s best and fairest. 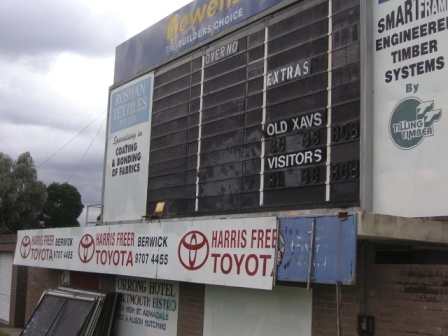 Prahran and Oakeigh both played in the Victorian Football Association, which is now known as the Victorian Football League. The irony to this name-change would not have been lost on diehard VFA fans, as the VFA actually preceded the original VFL back in the late 19th century. (What became the VFL is now known as the AFL. Got all that?). 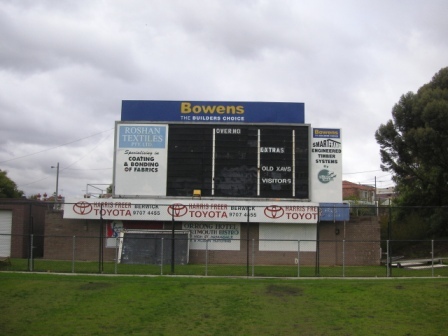 Toorak Park was officially opened back in 1893 and is now home to amateurs footy teams Old Xaverians and Prahran Assumption, and Prahran Cricket Club. 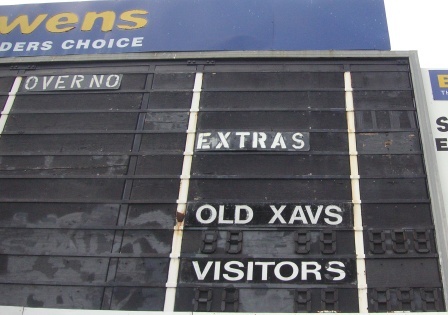 The current scoreboard was built in 1971 and hasn’t changed much over the years, save for sponsors and numbering. Twelve months ago I could see that the board now has those rubber-elastic digital numbers rather than numbers on rolls or tin sheets.